At a hastily called press conference this morning, Dr. 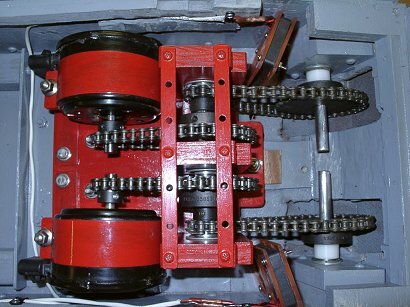 Von Huppel, the world-reknown Director of the Tri-Pact Institute of Technology, announced that the venerable Tiger-1 underwent an emergency operation last evening to replace its drive system. Dr. Von Huppel stated that "Ze patient is resting comfortably and ve expect a full recovery within a week or so." He added that "Although ze timing was unexpected, modifications to Tiger-1 have been planned for some time now and ve vere totally prepared." At that point, Von Huppel refused to take any questions and quickly departed in a limosine, enroute to an early morning tee-time at an exclusive South County Golf Club. Shown here in prime condition after a dominating performance in the First Tyng Invitational in the Spring of 2003, the venerable Tiger-1 showed no signs of weakness or ill-design. Although a number of relatively minor modernizations were expected, most experts agreed that Tiger-1 was at the top of its game, leading Tri-Pact Security Forces to victories throughout the year. Near the end of 2003, however, rumors started to emerge (primarily from Anvilus Plastic Works) that the Tiger-1's general health was declining quickly and that major problems were looming. 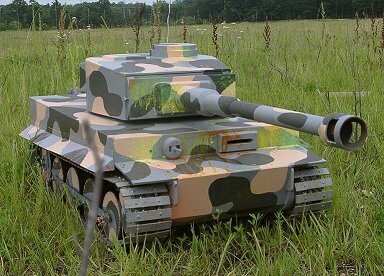 Then, in early 2004, Joe Sommer, President and Founder of the Anvilus Plastic Works released this photo, purportedly showing the actual wooden motor mounts used in Tiger-1. "Here again", Sommer said, "is a clear indication of the problems with Tri-Pact/Tyng technology ... they insist on using wood!!" Given that Sommer was speaking at the annual Better Living Through Plastics convention in Trenton, New Jersey, most experts dismissed his comments and the photo as yet another publicity stunt by the cash-strapped Anvilus founder. After talking to a number of officials within the Tri-Pact organization, all of whom wish to remain anonymous, this reporter was able to get a photo of the new drive system that has been installed in Tiger-1. Clearly, this is a state-of-the-art assembly that eliminates many, if not all, of the problems that have plagued the aging tank. The drive system is powered by twin EV Warriors, mounted in a compact arrangement, with a 9-to-1, two-stage roller chain transmission for optimum power and speed. 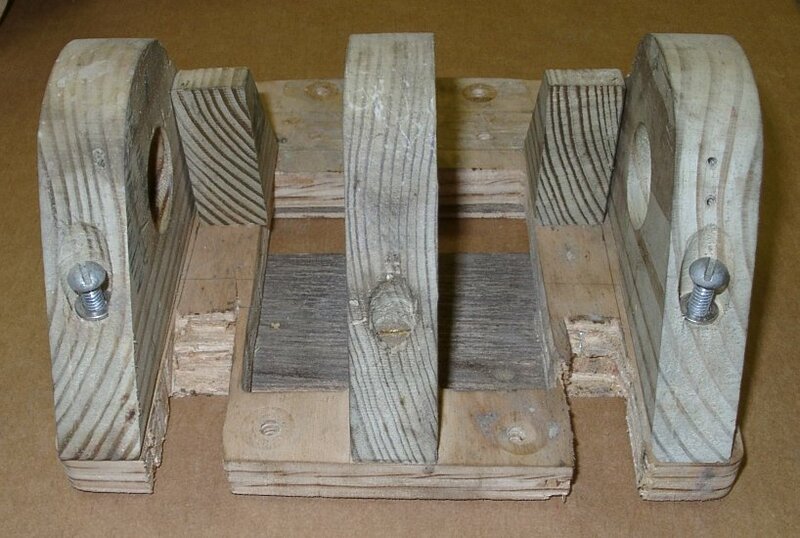 Everything is securely mounted to a wooden chassis, reinforced with metal straps, that is bolted firmly to the hull. A highly-placed anonymous source within Tri-Pact said, "The Tiger-1's new drive system represents the state-of-the-art in combat technology ... power, reliability and fuel-economy all in a compact package." Joe Sommer, on the other hand, said that "They [Tri-Pact] can sugar-coat and spin the story as much as they want, but they can't deny that they are still using wooden parts in critical components. And eventually", he stated defiantly, "that will lead to their downfall."